If you have experienced an injury due to medical malpractice, been a victim of a sexual assault, seriously injured as a result of someone else’s negligence, need assistance with a marijuana case, accused of a crime or charged with DUI, or are going through a divorce or child custody battle contact Grewal Law PLLC. We are a full-service law firm, providing clients throughout Michigan with personalized and reliable legal representation. With multiple office locations in Grand Rapids, Northville, and Okemos, our attorneys assist clients throughout the state with a wide variety of complex legal matters. With more than 100 years of collective experience, we are well-versed in medical malpractice claims, sexual assault, personal injury claims, marijuana law, criminal defense, family law, estate planning and probate, and real estate law. With every case we take on, we strive to provide our clients with the compassionate and honest legal counsel they need, coupled with the aggressive advocacy they deserve. Call (888) 211-5798 to schedule your free initial consultation and learn about your legal options. For decades, the Grewal family has helped clients throughout Michigan navigate the legal system. At Grewal Law PLLC, we are proud and humbled to carry on this tradition of personalized service. Our attorneys have been recognized for their commitment to service, ethics, and results. 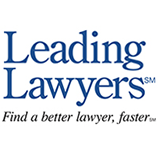 Many of our lawyers have been included in The Best Lawyers in America® and in The National Trial Lawyers – Top 100. Our lawyers have received the Avvo Client’s Choice Award for Family Law and earned Avvo Ratings of 10.0 Superb in both Criminal Defense and Divorce. Additionally, several of our attorneys have been distinguished by Martindale-Hubbell® (2018) and have been selected for inclusion in both the Super Lawyers® and Super Lawyers® Rising Stars℠ lists. More than this, however, we are most honored to be able to serve individuals and families in need of legal assistance. Regardless of the issue you are facing, our team has the resources, skill, and experience to help you navigate the process from start to finish. We understand just how daunting the legal system can be; that is why our attorneys provide personalized, one-on-one services tailored to your unique situation. We take the time to listen to your goals and devise a legal strategy aimed at securing the best possible outcome for your case. To request a complimentary and confidential consultation, call (888) 211-5798 or contact us online.